This easy and delicious breakfast recipe is bite-sized, packed with veggies, and extra cheesy. Bonus: it’s got a tater tot crust! 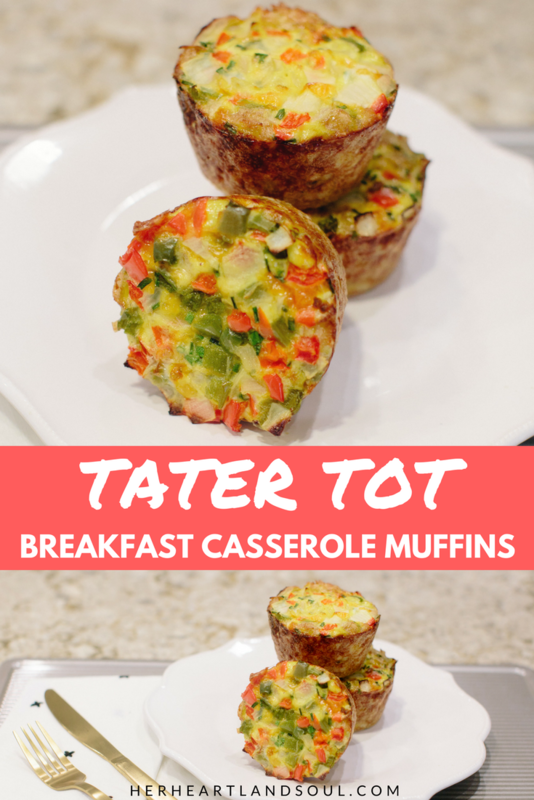 Make these tater tot breakfast casserole muffins today! I am big on breakfast. Science has shown again and again that breakfast is the most important meal of the day. It also doesn’t hurt that breakfast foods are freaking delicious. I could eat scrambled eggs, breakfast potatoes, and avocado toast every day for the rest of my life. Luckily for my husband, I like to mix it up and try new breakfast foods from time to time. 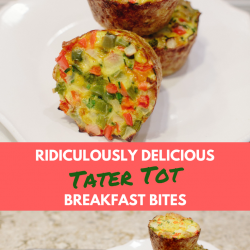 I recently whipped up these tater tot breakfast bites for us and knocked it out of the park, if I do say so myself. 😉 They’re tasty, portable, veggie-packed, and filling. They’re also less than 300 calories a breakfast muffin, which is a real win when you consider they are made with a tater tot crust. One of the joys of recipe development is rounds and rounds of refinement. Getting this recipe just right required three rounds of baking and subsequent edits. While all the extra food was awesome for Josh and my co-workers, the cost of ingredients can really add up if you’re not careful. It got me thinking about how important it is to find affordable sources of food to encourage home cooking. I picked up all the ingredients for this recipe at Family Fare. Located throughout Nebraska, Michigan, Iowa, and the Dakotas, Family Fare offers a wide selection of products at affordable prices. They’re committed to freshness, quality, selection, nutrition, and supporting local. Thanks to them, creating this recipe didn’t cost me an arm and a leg. Lightly grease a jumbo muffin pan with nonstick cooking spray. In the bottom of each muffin cup, place four tater tots and gently flatten them with the back of a spoon. Using the same spoon, carefully mash 5 tater tots around the edges of each muffin cup to form a crust. Bake tater tot cups until golden brown and lightly crispy (approximately 15 minutes). While the tater tot cups bake, sauté the onion and peppers with 2 tsp olive oil over medium heat, stirring occasionally, until the vegetables are slightly soft (approximately five minutes). Remove pan from heat and set aside. In a large bowl, whisk together the eggs and milk, then the shredded cheese, chives, and the sautéed peppers and onions. Season with salt and pepper and whisk until fully combined. When the tater tot cups are ready, remove from the oven and ladle the egg mixture into the cups, dividing the mixture evenly between the six cups. Return the muffin pan to the oven and bake for approximately 20-25 minutes, or until the eggs are set. Allow to cool for five minutes, then use a silicon spatula or large spoon to carefully remove each tater tot egg cup from the muffin pan. If you try these I would absolutely love to know what you think! 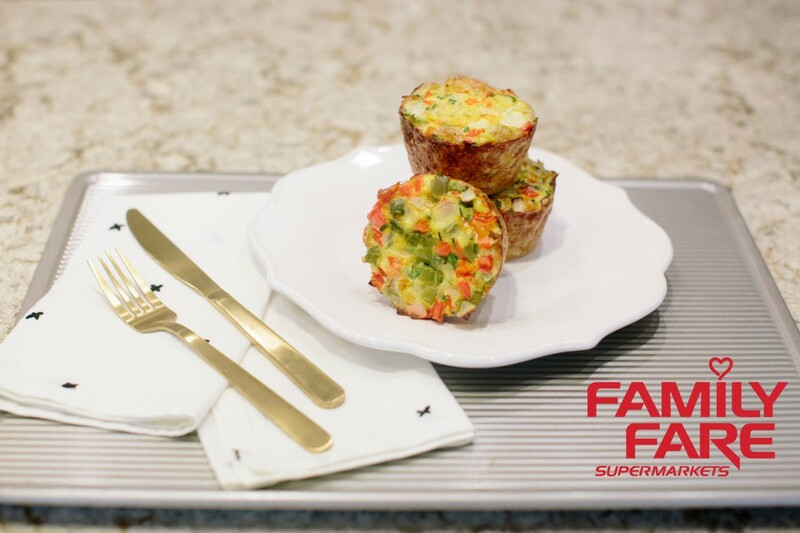 Leave a comment with your thoughts or reach out to me via Instagram to share a shot of you enjoying your veggie egg bites. Happy cooking! Questions of the Day: Is breakfast your favorite meal of the day? Do these tater tot muffins look absolutely scrumptious to you? Have you shopped at Family Fare before? Thanks to Family Fare for sponsoring this post and saving me money on my grocery bill this month! These sound delicious! I think I might try them with a sweet potato crust since I can’t have tater tots. My one year old is obsessed with breakfast muffins. All he will eat in the morning! These look so delicious! I can’t wait to make them! Breakfast is definitely important, and these look really good. I’m happy to try almost anything that will let me get more veggies in. Looks so yummy! And that video was amazing. I’m not a fan of potatoes, so while the colors are intriguing, the flavor would do me in. I love the idea of a tater tot crust! These are right up my alley. Can’t wait to try them! Oh, they look yummy. I remember loving tater tots when I was a kid. And, yes, I love breakfast. I love both to cook and eat breakfast and to experiment with breakfast foods to get something even yummier. 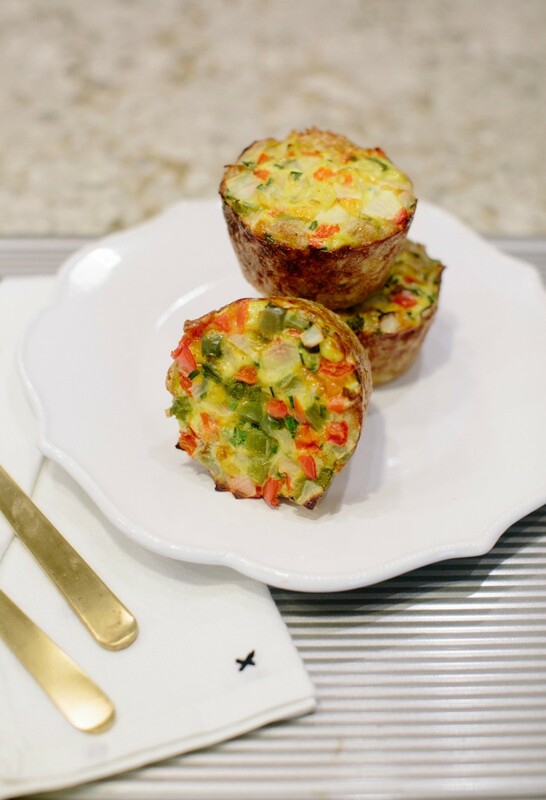 These are a great way to get some veggies into breakfast! What a fun and tasty idea! I love breakfast finger food! Tator tots make everything taste good. These are fun quick grab and go if they have to for breakfast. These look SO good! I want these for breakfast right now! Personally, I am obsessed with “mini” recipes. Love this and saving it for later! Wow these look so good! I realyneed to get better at eating breakfast. I’m going to give these a try since they look so easy! Yummy! My girls would love these. This is a great Saturday morning breakfast to make together as a family. These look fantastic! I love the idea of a tater tot crust! Love how easy these are – yummo! I bet little hands would love this. So quick and easy too. What a great recipe. Looks yummy! Seems simple and an easy breakfast. What a great, healthy way to start the day!